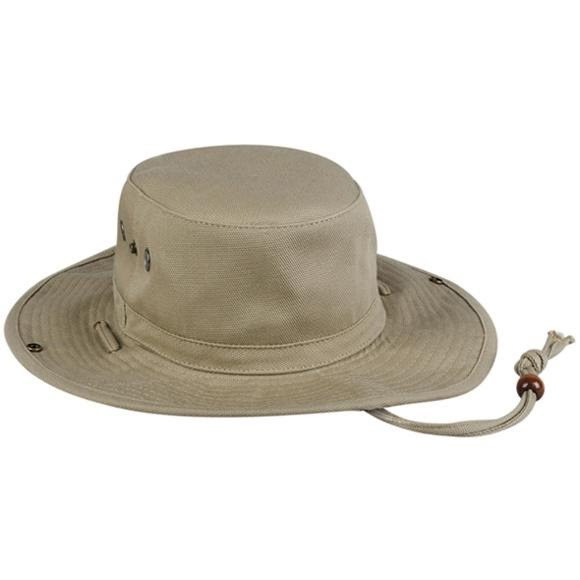 With a UPF rating of 50+ this Heavy Weight Canvas Boonie Hat from Outdoor Cap will shade your head, neck and face so you can keep enjoying your time in the sun. UV Radiation is a non-visible part of sunlight associated with suntans, sunburns, premature aging, and skin cancer. Sun protection properties of a woven or knit fabric are dependent upon transmission, absorption and reflection of UV radiation. The fiber type, dye, constuction and finishes determine these characteristics.